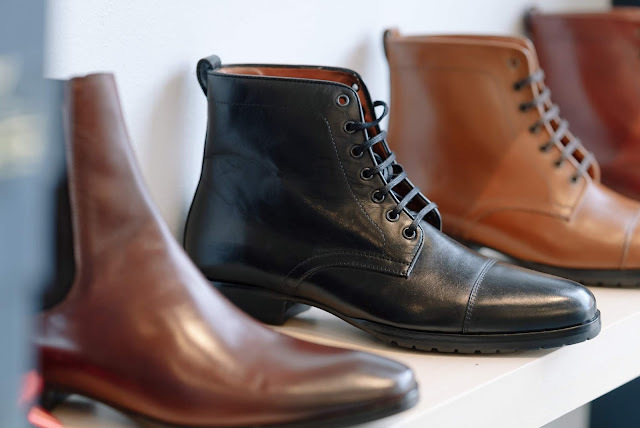 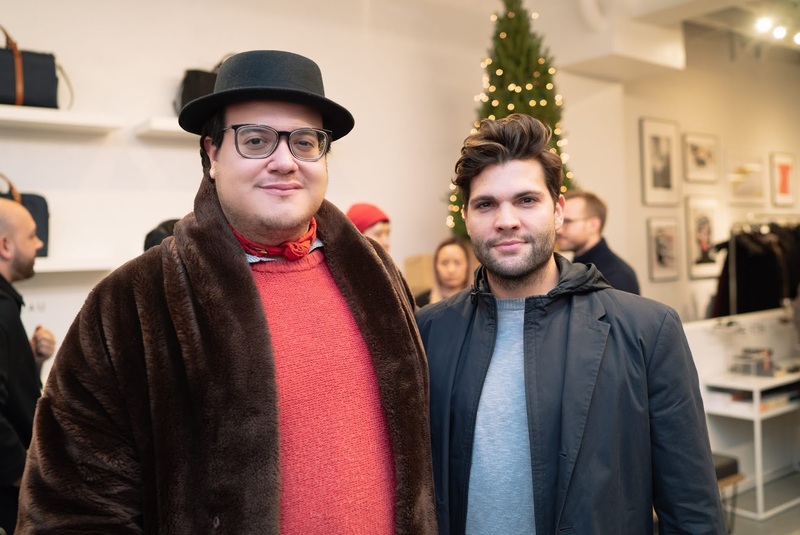 On Wednesday, December 5, 2018 Ampersand Collective hosted a launch party to celebrate their 10- day men's pop-up shop featuring essential gifts for him. 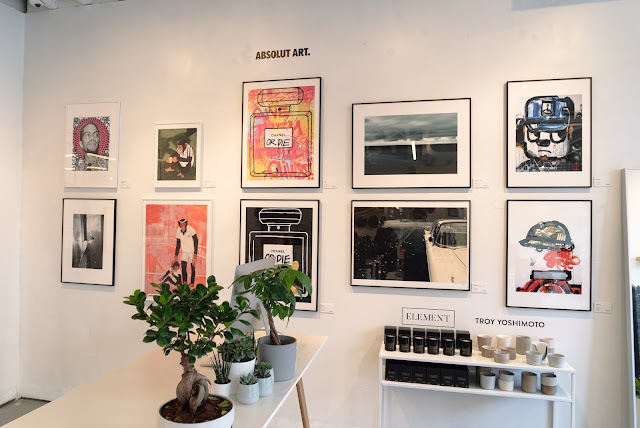 Running from now until December 16th, the Ampersand Collective pop-up shop, located at 198 Allen Street, will feature a highly curated assortment from brands that blend both form and function. 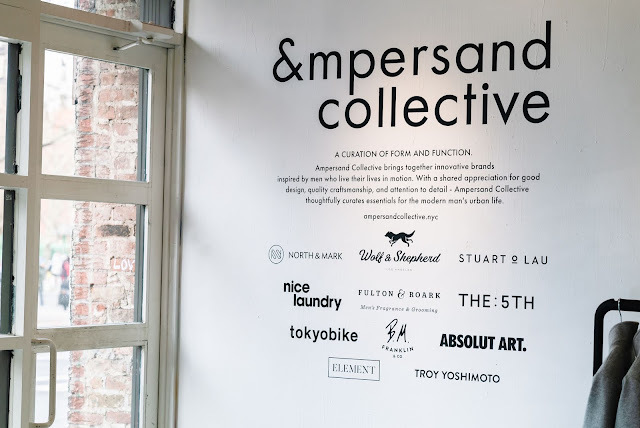 With a shared appreciation for good design, quality craftsmanship, and attention to detail, the brands comprising Ampersand Collective offer essentials for the modern man's urban life. Anchoring the pop-up are ​Stuart & Lau​​, NY-based luggage and accessories brand for the man in motion; ​North & Mark​​, technically enhanced ​men's outerwear brand for the urban commuter; ​Wolf & Shepherd​​, collection of ​dress shoes with sneaker-like comfort and performance​; ​BM Franklin​​, ​custom hat shop and modern haberdashery​; ​Fulton & Roark​​, ​makers of small batch, high quality grooming products​; ​The 5TH​​, Australian-based, direct-to-consumer brand offering ​limited run timepieces and accessories​; ​Nice Laundry​​, ​online sock and underwear startup with a refreshing variety of fun prints, colors, and styles; and ​tokyobike​​, ​independent bicycle company synonymous for its light and responsive designs. 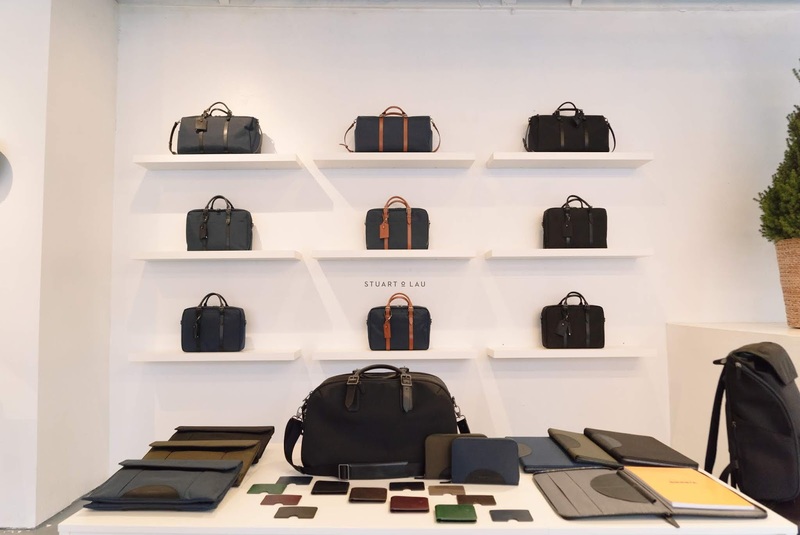 Love these Stuart & Lau bags for men. 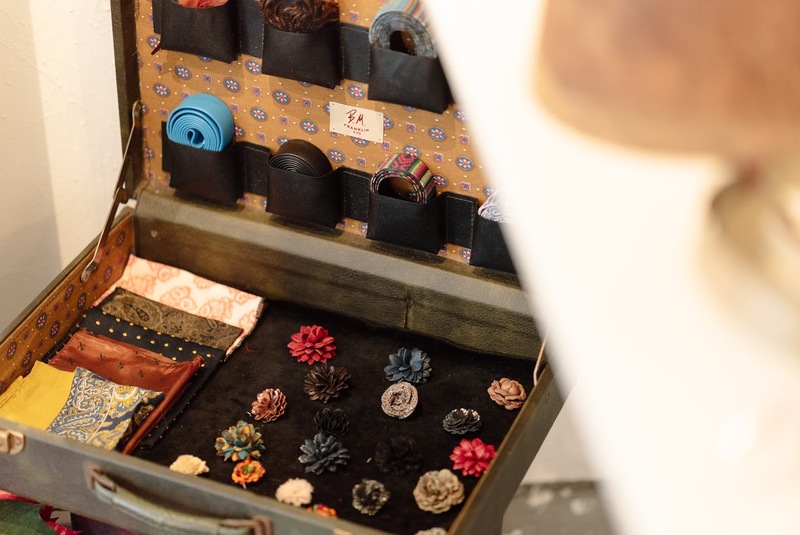 I need one of those portfolio/clutches! My favorite brand at Ampersand Collective's Holiday Pop-Up would have to be BM Franklin hats. GM Franklin owner and Hat Maker Brandon Franklin was on hand at the launch party to show off and talk about his hat making process. 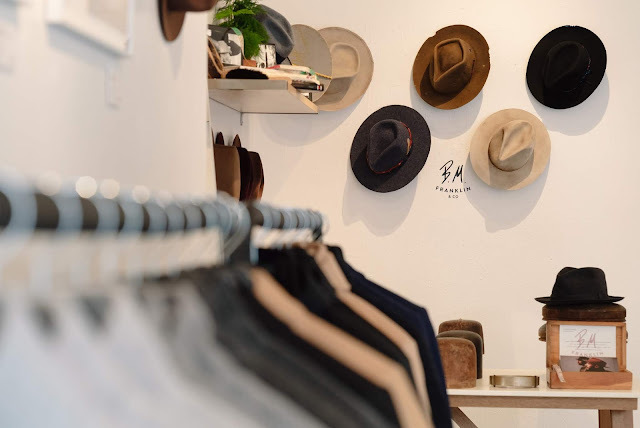 I love that you can go into BM Franklin and work with Brandon on getting a hat that is made just for you. 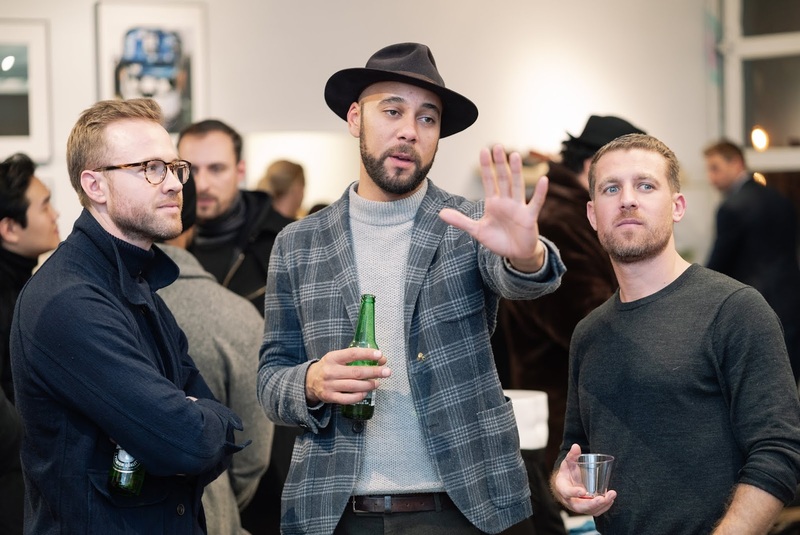 I fell in love with a midnight blue bolero hat at the launch party and I cannot wait to go and get fitted for some major hat moments in the future! 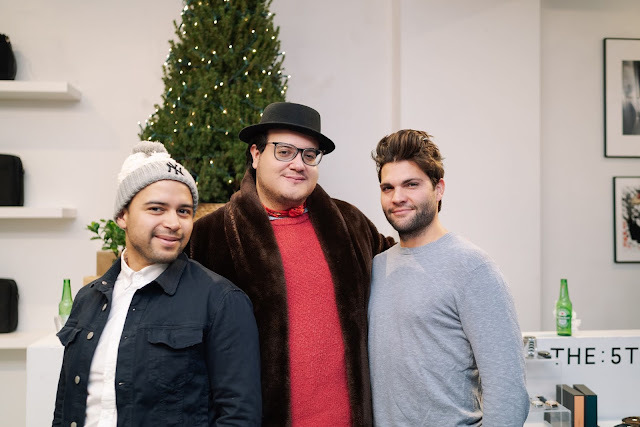 Check out a few more fabulous brands available at the Ampersand Collective Holiday Men's Pop-Up shop as well as a few pics form the party below! Thanks to Ampersand Collective for having OJ&B at the launch Men's Holiday Pop-up launch party! Be sure to stop by the pop-up at 198 Allen Street until December 16th to grab a gift for that special guy in your life this holiday season!